American President doesn`t want to anger Putin that is why major defensive projects like the Shield has been cancelled for the time being. As well as building permanent US/NATO bases here. 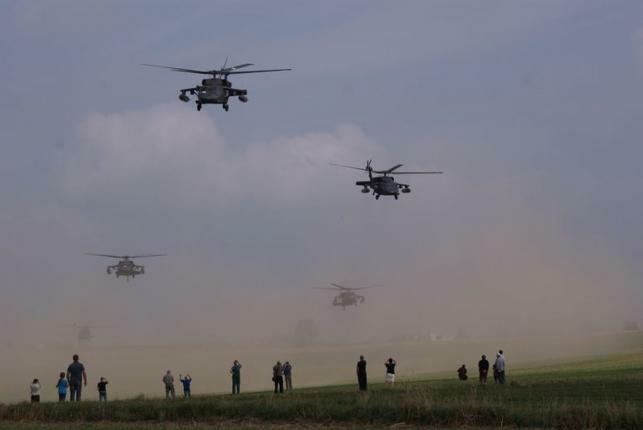 However, to calm down anxious Poles who look warily at what Russia is doing in Ukraine, Americans decided to put up a little show from time to time. Much cheaper (and safer) than building a base. 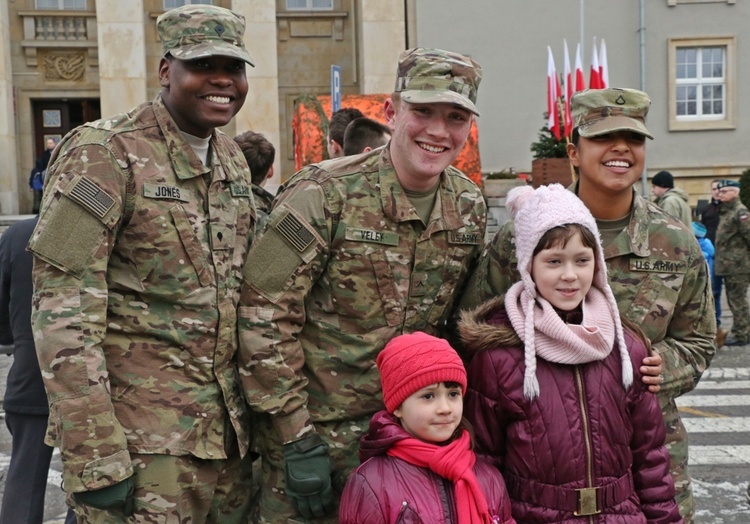 US Army troops from the 2nd Cavalry Regiment stopped in Łódź, central Poland on Tuesday for a meet-and-greet session. 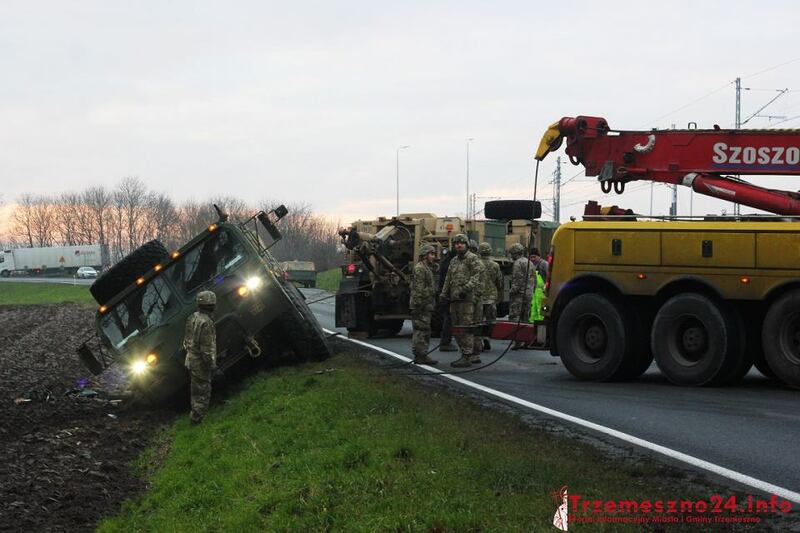 “Operation Knightrider” was launched on 22 February when three columns of 30 army vehicles set off from Drawsko Pomorskie in northern Poland and then stopped in Łódź, before moving on to Nowa Dęba (in the south) to continue exercises with the Polish Army. 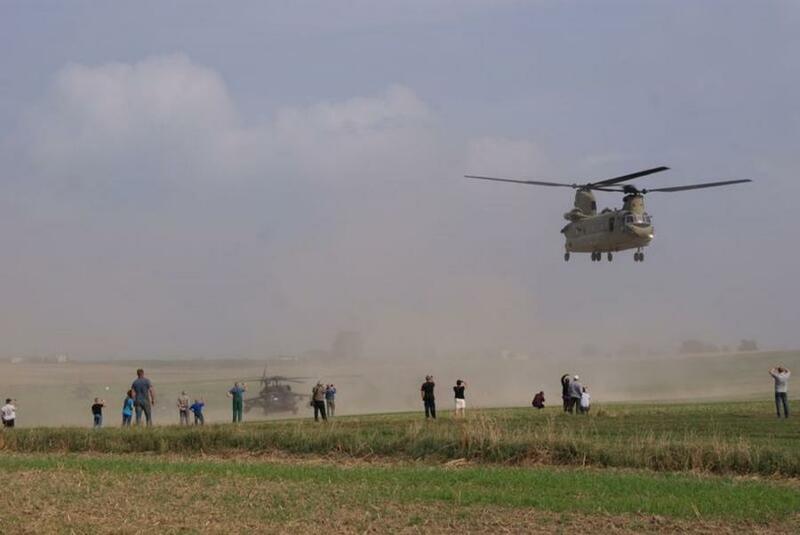 Polish soldiers from the Military Medical Training Centre in Łódź and the 25th Air Cavalry Brigade from Tomaszów Mazowiecki also took part in the event and displayed their equipment to the city’s residents. 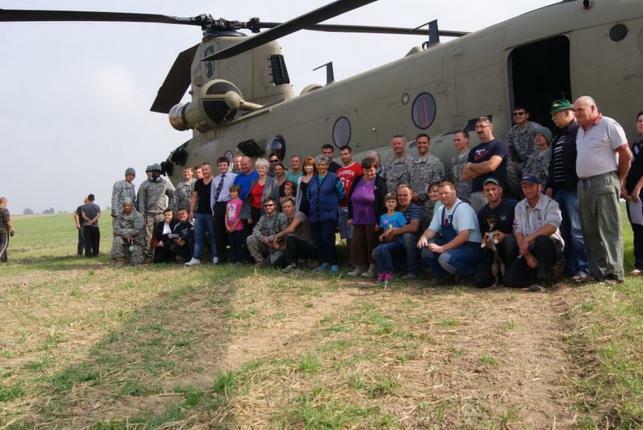 The crowds which gathered were able to see the American Stryker transporters and Humvee vehicles. 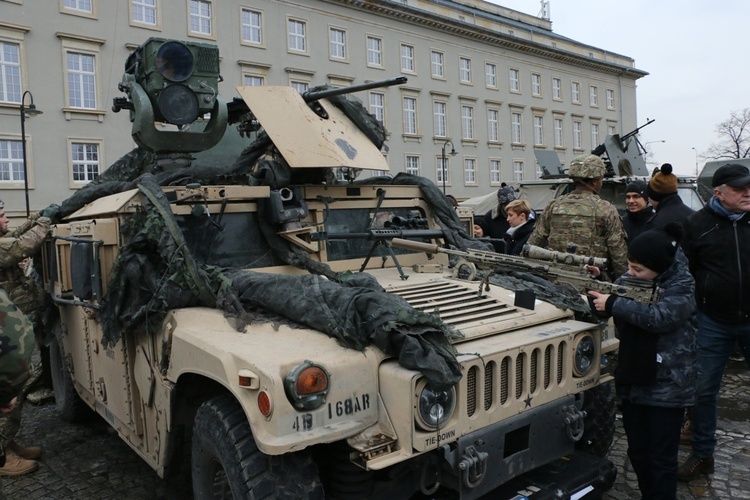 “The goal of the ‘Operation Knightrider’ is to demonstrate NATO forces’ freedom of movement along NATO interior lines, as well as the US commitment to NATO security,” the US embassy in Poland wrote in a statement. 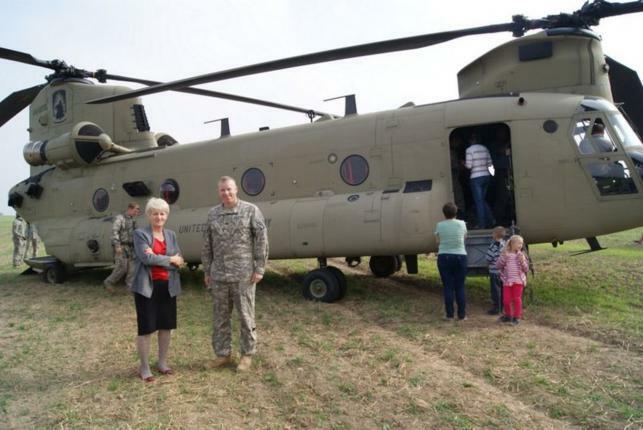 Polish Prime Minister Beata Szydło headed an official welcoming ceremony for US troops in the west of the country on Saturday. “Each Polish family must feel safe. It is the duty of the Polish state, the government to provide security. Today we have made a big step in this direction,” Szydło said during a ceremony that was also attended by Poland’s Defence Minister Antoni Macierewicz. 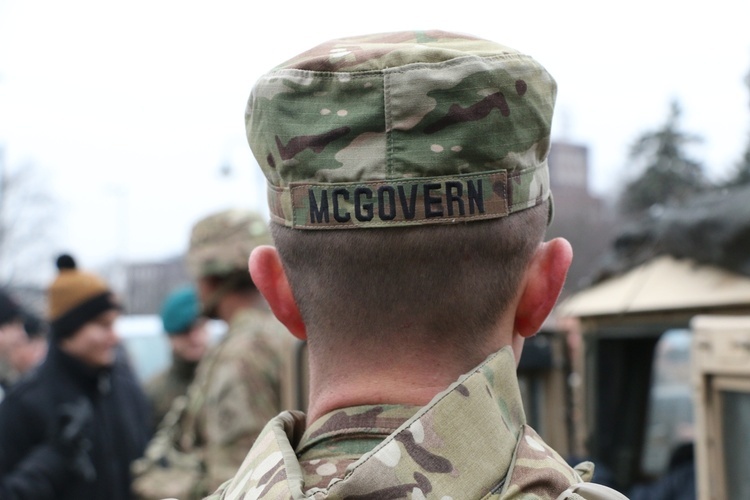 The US brigade will be stationed in Poland and other countries in the region on a rotating basis part of Operation Atlantic Resolve. 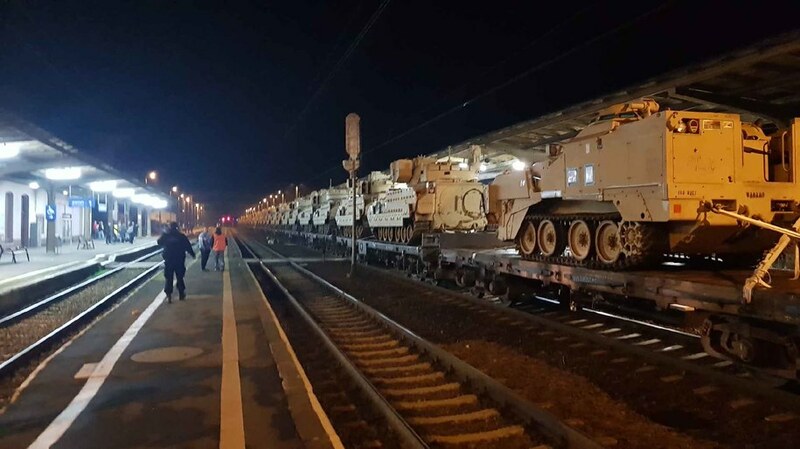 A brigade arriving in Poland comprises some 3,500 soldiers and over 1,000 vehicles including Abrams tanks, Bradley military vehicles and Paladin self-propelled howitzers. 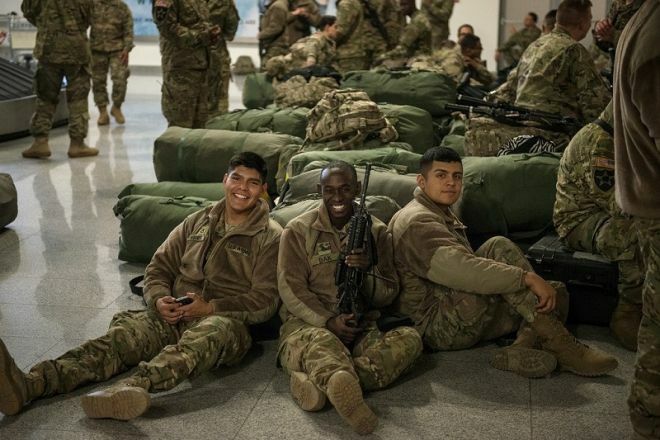 Amid fears of Russian aggression following Moscow's annexation of the Crimea region of Ukraine in 2014, NATO decided at a Warsaw summit last July to deploy four rotating multinational battalions of some 1,000 soldiers each to the military alliance’s eastern flank. 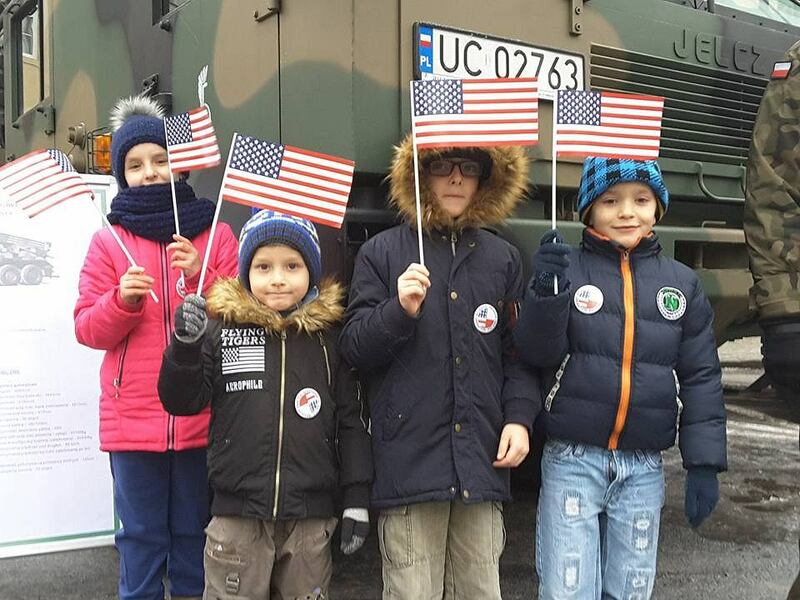 Americans are testing the Polish road network. A few accidents have happened on icy or narrow roads. 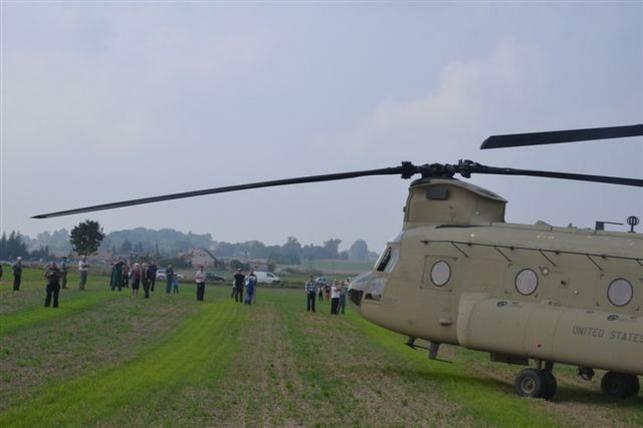 In one case a flyover was too low. Luckily, nothing serious. On a bend of a village narrow road, a truck bumped into an American tank`s barrel. Nothing serious. One commenter remarked that perhaps American tankers had started turning their turret after seeing the Soviet-made tank on the monument close to the crash site. Funny. Commander of Am troops had warned his men they would have to eat potatoes 3 times a day when in Poland. VILSECK, Germany — For years, wherever the U.S. Army went, Burger King was sure to follow. 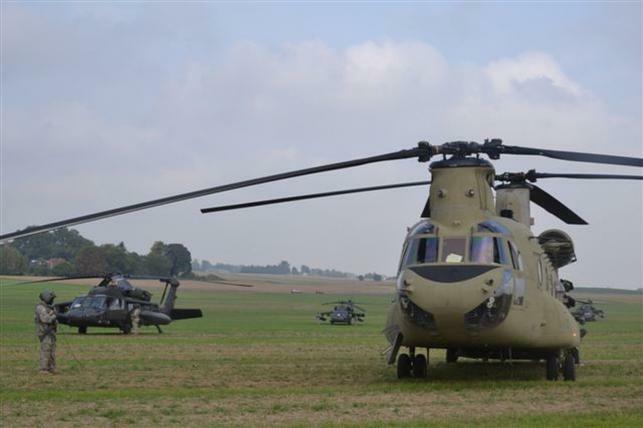 When the Army rolls into Poland next month to take positions near the Russian border, however, the creature comforts will stay behind. No Whoppers. No foot-long Subway sandwiches. No Pizza Hut pies or caramel lattes at the Army’s version of Starbucks, Green Beans. 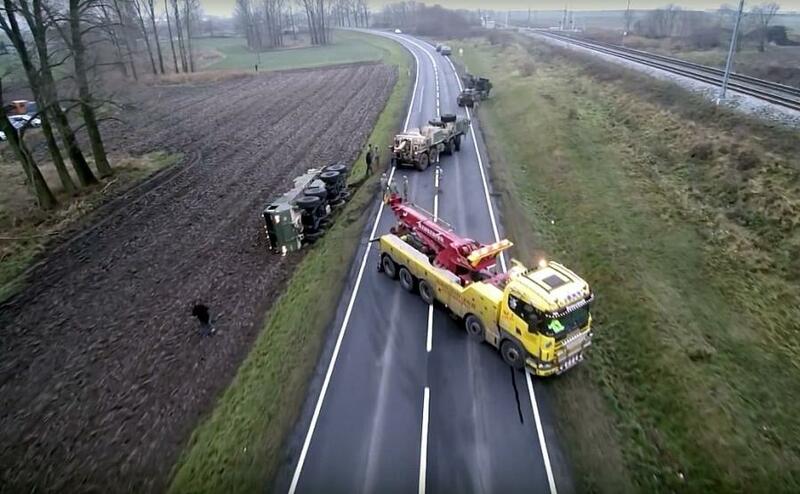 An American convoy lost their way and tried to turn back but one big truck got stuck in the muddy field. 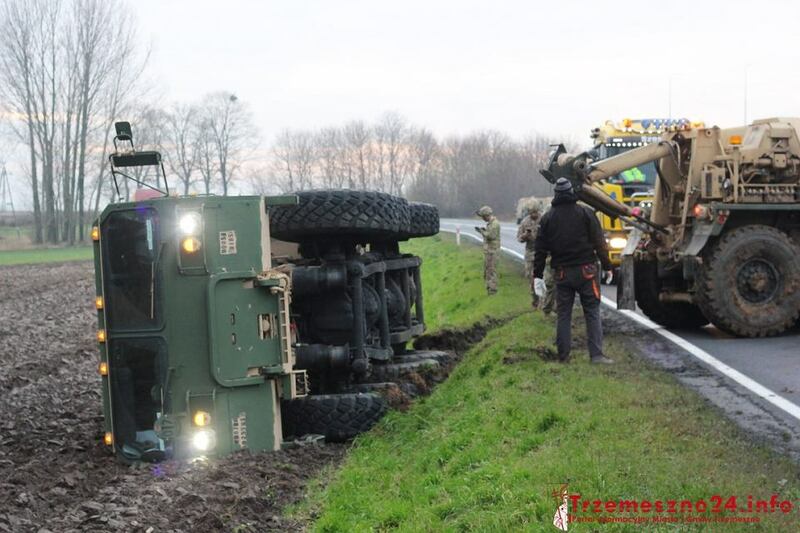 Soldiers asked a farmer to give a hand, he pulled the truck back onto the road with his tractor. There were even more road happenings which I am not able to cover. Conclusion: Good! American are testing the transport possibilities. 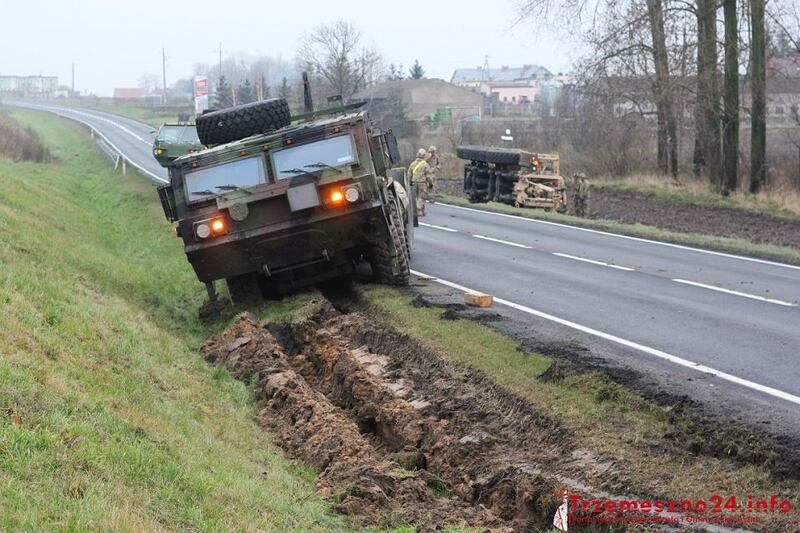 They must get used to the Polish road system which generally is in a good shape but too narrow for army vehicles. Drivers must learn how to maneouver on such roads. It is not a wide desert anymore, it is densely populated Europe. Comrade Stalin once said - the more sweat in training grounds, the less blood spilled in real battlefields! Let`s stick to his words of wisdom. Yay! Of course it was the farmer who came to the rescue and got them going again! Farmers know how to get the job done! That is true, and it should be dear to your heart also...Mr. Farmer! Yes. Farmer isn`t my second name, it is the first. 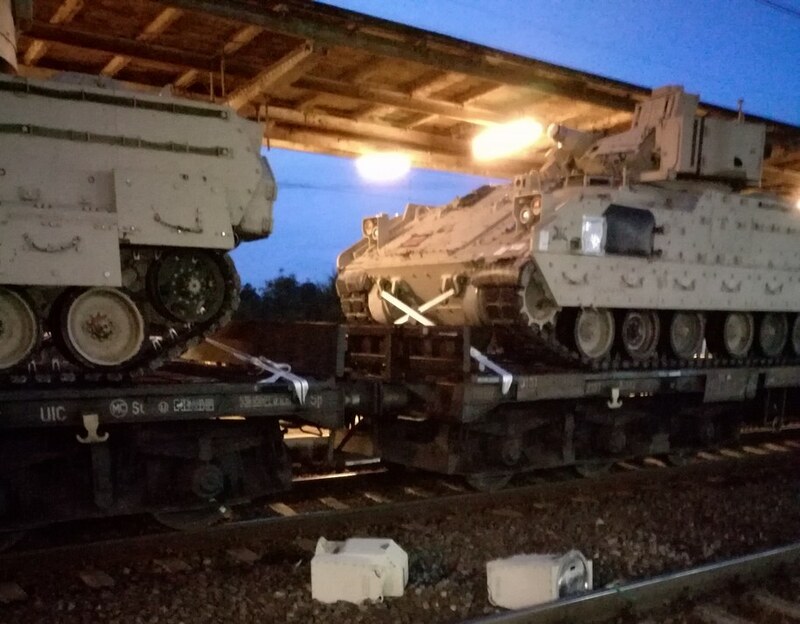 10 US army vehicled were damaged by the low roof of a rural train stop. A vehicle called the Humpback USV belonging to the Canadian Royal Navy fished out of the Baltic Sea fishermen from Jastarnia. The Navy confirms that the vehicle served the Canadian Royal Navy as an exercise target. The Maritime Office will decide about the future of the object. A vehicle looking like a small, fast motorboat came across the crew of the Jas-61 fishing boat. The find was transported to the main port of the unit – to Jastarnia, where it was unloaded onto the shore. The vehicle has the inscription "Marine Royale Canadienne" (Canadian Royal Navy) and number 292. Information about the find, along with the movie showing the vehicle, was posted on one of the social networks, a resident of Jastarnia. Maksymilian Dura from the Defense2 website, after watching the movie, said that it is most likely about an unmanned remote controlled water target called Humpback USV produced by the company Qinnetiq Target System operating, among others, in Canada and Great Britain. Kmdr Lt. Piotr Adamczak from the Sea Operations Center confirmed that it is an unmanned sea target, but he explained that it is most likely a Hammerhead USV-T vehicle manufactured by Meggit Training Systems in cooperation with AF Theriault & Son Ltd.
Adamczak explained that this vehicle just like Huntback, it is used for exercise: it simulates fast motorboats and shoots at it from a machine gun installed on ships. 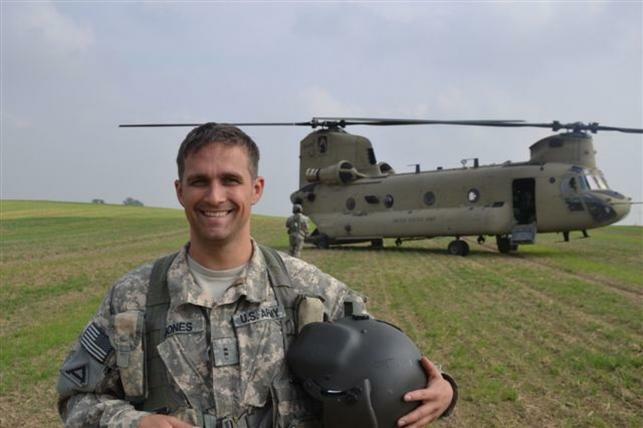 Adamczak added that the vehicle was "hit and sunk in accordance with its intended purpose, and the ship went further." He explained that such objects are "not cheap," and the Polish Navy does not have them. Adamczak could not tell when Canadians could use this particular exercise vehicle. Canadian units in the Baltic Sea in recent years were a lot. Among other things, Charlottetown frigate visited the Baltic Sea in September – he said, adding that it was possible that this particular vehicle was sunk as a result of her actions. He explained that ships engaged in international waters do not need to report this fact to the Polish Navy. The Canadian Royal Navy from time to time participates in maneuvers carried out on this basin. For example, in September in the Baltic Sea, exercises under the codename of Passex were carried out with the participation of ships from Norway, Portugal, Canada, Germany, the Netherlands and Poland. US vehicles got stuck in muddy fields. It is still kept as a secret that Poland talks with Americans (without consulting other NATO countries) about establishing a permament US base here, not for free. 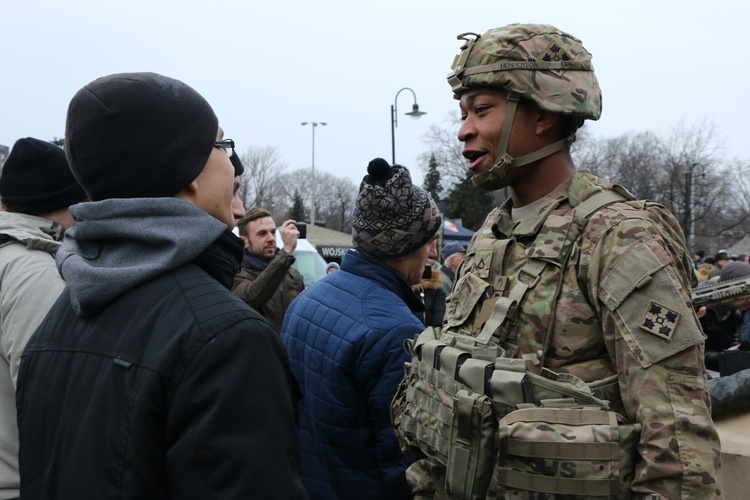 The Polish offer reflects a long-standing desire in Warsaw to build closer security relations with the U.S. and put American boots on the ground. The push dates back to Poland’s entry into NATO in 1999, but has taken on added urgency in the wake of Russia’s annexation of Ukraine’s Crimea region four years ago and aggressive posture toward the alliance. 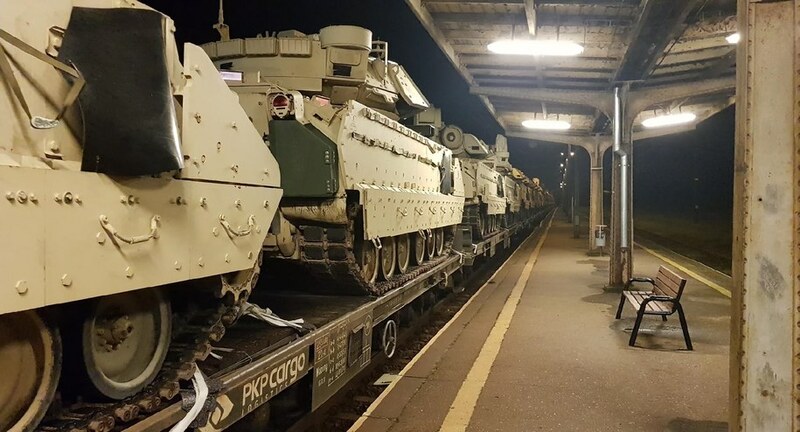 “This proposal outlines the clear and present need for a permanent U.S. armored division deployed in Poland, Poland’s commitment to provide significant support that may reach $1.5-2 billion by establishing joint military installations and provide for more flexible movement of U.S. forces,” the defense ministry document states. The defense ministry press office confirmed that the paper, called “Proposal for a U.S. Permanent Presence in Poland” and dated 2018, is genuine and said it is not classified.